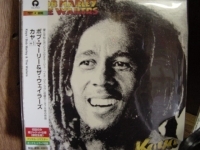 Japanese Mini Sleeve CD - items 25 to 50 Shop MyMusicFix!! 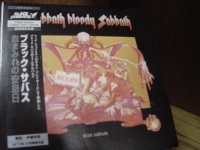 "Black Sabbath, Sabbath Bloody Sabbath - OUT OF STOCK"
Japanese Mini Sleeve CD. Ozzy Osborn and band mates refocused themselves on arrangements and presentation for their 1973-fith stuido album to produce one of their finest works. A great early 70's metal album! 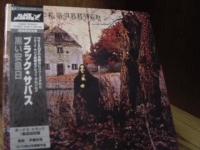 "Black Sabbath, ST - CURRENTLY OUT OF STOCK"
Japanese Mini Sleeve CD. Sabbath's 1970 debut set the standard for generations of metal bands to come. 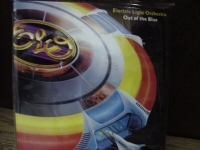 Classic tracks include "The Wizard" and "N.I.B". 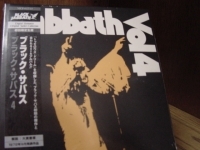 "Black Sabbath, Vol.4 -CURRENTLY OUT OF STOCK"
Japanese Mini Sleeve CD. This 1972 release is filled with the standard bone-crushing volume and catatonic tempos that Sabbath was famous for, but "Vol. 4" also includes the delicate ballad "Changes". "Blondie, Blondie - OBI Mini"
"Blondie, Parallel Lines - Mini LP Replica In A CD - Japanese"
"Blondie, ST Mini LP Replica In A CD - Japanese"
"Blondie, The Best of Blondie - Mini LP Replica In A CD - Japanese"
"Blue Oyster Cult, Agents of Fortune - OBI Box - 4 CD Set - ONLY COPY"
BLUE OYSTER CULT - AGENTS OF FORTUNE - Japanese OBI MINI REPLICA LP TITLES making a 4 CD Box Set- Japanese OBI MINI REPLICA BOX SET Japanese re-mastered Mini LP replica Limited Edition Collection Recorded from the finest Original Masters available. Each title Comes with anti-static sleeves similar to Vinyl LPs, Cardboard packaging exact to the original LP, Re-sealable plastic wrap cases for protection of each collectible and includes extensive Liner Notes Booklet. Actual miniaturized version of the 12" LP in 4" CD version Special VERY RARE LIMITED EDITION BOX SET ONLY PRODUCED ON FUTURES FOR THIS ONE TIME PRESSING -- were only available in Japan. 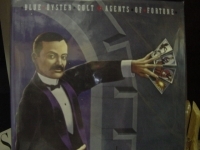 REPLICA LP IN A CD BOX SET INCLUDES - Limited box contains the paper sleeve versions of "Blue Oyster Cult", Tyranny and Mutation", "Secret Treaties", and "Agents of Fortune These are Japanese digitally re-mastered Mini LP replica CDs (the OBI Edition). This Limited Edition Collection has only VERY FEW made world-wide and are immediately Out of Print. Recorded from the finest Original Masters available. Comes with anti-static sleeves similar to Vinyl LPs, Cardboard packaging like an LP, includes extensive Liner Notes Booklet. Actual miniaturized version of the 12inch LP in 4inch CD version. 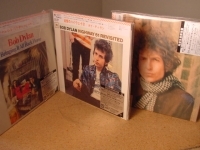 "Bob Dylan - 3 Japanese OBI CD Set - ANOTHER SIDE OF DYLAN, FREEWHEELIIN' & JOHN WESLEY HARDING"
"Bob Dylan, 14 OBI Box Set"
"Bob Dylan, 3 Japanese Pressed CD Set - HIGHWAY 61, BLONDE ON BLONDE & BRINGING IT ALL BACK HOME"
Japanese Mini Sleeve CD. This album indulges Dylan's more mythic and expansive side making room for the humor that would explode when Dylan formed a band. It's just Dylan, guitar, and harmonica here but ANOTHER SIDE is still a great rock & roll album. Tracks include: "All I Really Want To Do" "Black Crow Blues" "Spanish Harlem Incident" "Chimes Of Freedom" "I Shall Be Free NO. 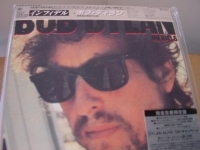 10" "Motorpycho Nitemare" "My Back Pages" "I Don't Believe You" "Ballad In Plain D" "It Ain't Me Babe"
"Bob Dylan, Blonde On Blonde (2 CDs)"
Japanese Mini Sleeve CD, voted the #9 rock & roll album of all time. 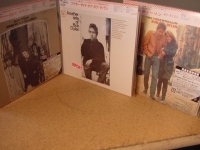 This 1966 landmark double LP (2 cd) set is considered by most Dylan-philes as his masterpiece. By blending a rich tapestry of blues, country, folk and rock, "Blonde On Blonde" is an album of limitless depth filled with lyrical and musical revelations. Recorded in Nashville with Al Kooper and Robbie Robertson, as well as other fabulous session players, the album is filled with cutting guitar riffs and liquid organ fills. Songs like "Rainy Day women #12 & 35", "Visions of Johanna", and "Just Like A Woman" are just a few examples of why it remains to this day as a classic. 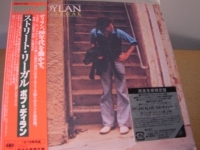 "Bob Dylan, Bringing It All Back Home"
Japanese Mini Sleeve CD, voted the #53 Rock n Roll Album of All Time, contains the #4 Rock n Roll Single of All Time "Like A Rolling Stone". Tracks Include: "Subterranean Homesick Blues" "She Belongs To Me" "Maggie's Farm" "Love Minus Zero/No Limit" "Outlaw Blues" "on The Road Again" "Bob Dylan's 115th Dream" " Mr. Tambourine Man" "Gates Of Eden" "It's Alright,Ma (I'm Only Bleeding)" "It's All Over Now,Baby Blue"
"Bob Dylan, Desire - LP Replica in Limited Edition CD"
"Bob Dylan, Freewheelin' - Japanese OBI Replica LP in a CD "
Japanese Mini Sleeve CD. 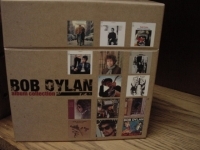 Dylan's outstanding second album is a tremendous jump from its predecessor. Whereas the debut established him as a peerless interpreter of folk and country-blues classics, and a singer like none before, this follow up features some of the most pungent original songs of the 60s "Blowin' In The Wind" "Masters Of War" "A Hard Rain's A-Gonna Fall" "Don't Think Twice" "It's All Right" and "I Shall Be Free"
"Bob Dylan, Highway 61 Revisited"
Japanese Mini Sleeve CD. 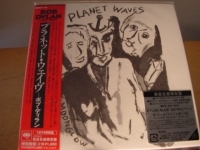 Voted the #22 album of all time, it was Dylan's first fully-fledged electric album, which came with considerable controversy. Folk purists had already waved good-bye to him, but rock had become the meter through which the singer could now best express his vision. With session Organist, Al Kooper, and Blues Guitarist, Mike Bloomfield, providing free-spirited accompaniment, this collection of songs re-defined pop music. 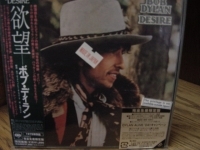 "Out of Print"
"Bob Dylan, Infidels - LP Replica in a CD"
"Bob Dylan, John Wesley Harding"
Japanese Mini Sleeve CD. Recorded with some of Nashville's finest, Kenny Buttrey, Pete Drake, and Charles McCoy, this album features Dylan's classic, "All Along The Watchtower." Other Tracks Include: "John Wesley Harding" "As I Went Out One Morning" "I Dreamed I Saw St. Augustine" "The Ballad of Frankie Lee and Judas Priest" "Drifter's Esape" "Dear Landlord" "I Am A Lonesome Hobo" "I Pity the Poor Immigrant" "The Wicked Messenger" "Down Along the Cove" "I'll Be Your Baby Tonight"
Japanese Mini Sleeve CD. Tracks Include: "Girl from the North Country" "Nashville Skyline Rag" "To Be Alone With You" "I Threw It All Away" "Peggy Day" "Lay Lady Lay" "One More Night" "Tell Me That It Isn't True" "Country Pie" "Tonight I'll Be Staying Here With You"
"Bob Dylan, Oh Mercy - Mini LP Replica in a CD"
"Bob Dylan, Planet Waves - LP Replica In A CD"
"Bob Dylan, Street Legal - LP Replica in a CD"
"Bob Marley, Kaya - OBI Mini Replica LP In A CD - Japanese"